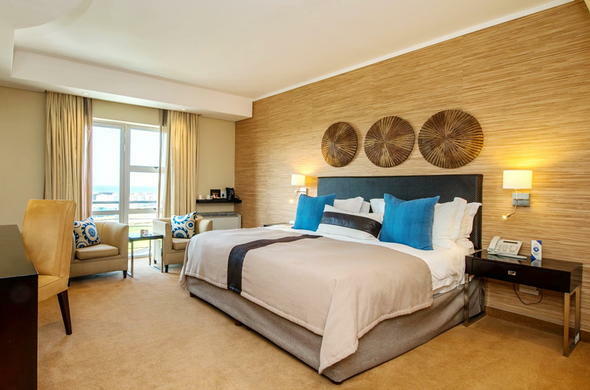 Port Elizabeth accommodation is available at the Paxton Hotel in luxurious air-conditioned rooms and suites. Rooms with sea views are available, as well as specially designed rooms for quadriplegic and paraplegic guests. All of the rooms and suites have private bathrooms with separate showers, direct-dialing telephones, remote controlled TVs with M-Net and selected DSTV channels and electronic digital safes large enough to accommodate laptops.